As much as you might try to do everything right and be a good upstanding citizen, there might come a time when you find yourself in a jam and looking at possible jail time. Even something like driving without a license or no insurance could put you behind bars for a few days, if not months. Regardless of what the situation might be, you don’t want to try and handle your criminal case on your own. You need to turn to a trusted criminal attorney in Los Angeles who can help you get the problem taken care of quickly and efficiently. When facing any type of criminal charge, you don’t want to hire just anyone. It is important that you feel comfortable with the person you hire. After all, you are going to be dealing with them during the duration of your case. You also have to be confident that they are listening to what happened and fighting for your rights, not just trying to make a quick buck along the way. If the attorney doesn’t have time to meet with you or talk to you on the phone, how can you possibly come up with a defense strategy or know what to expect during your case? You need to know that when you call in with a question about your case or the upcoming proceedings, that the criminal attorney in Los Angeles will be there to talk with you and explain everything in detail. Navigating the court system isn’t exactly the most streamlined or simplistic process. It takes a lot of time and hard work to get to the bottom of everything, which is why it is so important to hire someone that is going to work with you and not against you. At the Law Offices of Shahin Motallebi, you will get the personalized service that you deserve. Our team takes the time to listen to what it is that you are dealing with. We get all the facts surrounding the case and what you are being charged with. Then, we work to compile a defense to help mitigate the damages and prevent you from spending a lot of time in jail. We fight for your rights every step of the way to make sure you don’t end up getting convicted of something that you didn’t do in the first place. While things happen that are out of your control, we will work to help you get through the process quickly and efficiently. 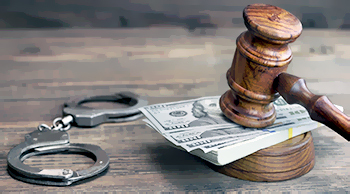 When you hire a criminal attorney in Los Angeles from the Law Offices of Shahin Motallebi, you can rest assured that our team is going to work hard for you and your rights. Don’t get taken advantage of simply because you didn’t know how the system worked. Hire someone who will make sure you get the treatment you deserve. Criminal Defense Attorney serving Los Angeles, Beverly Hills, Studio City, North Hollywood, Santa Monica, West Hollywood, Culver City, Playa Del Rey, Venice, Pacific Palisades, Marina Del Rey, Sherman Oaks, Van Nuys, Encino, Universal City, Valley Village, Inglewood, Burbank, Tarzana, Toluca Lake, Panorama City, Pacoima, Topanga, El Segundo, North Hills, Reseda, Northridge, Glendale, Woodland Hills, Canoga Park, West Hills, and Winnetka areas.